As I have stated in past reviews, keeping my world less cluttered and relatively organized is key to managing my hectic, whirlwind life. Whether it is for work or personal travel, when I am in a vehicle my smartphone is typically rattling around the center console or available cup holder. A very sad circumstance, since I would never put my iPad or MBAir into that kind of harm’s way. It also makes my iPhone’s usefulness during those times….limited (and perhaps my driving a bit more hazardous). 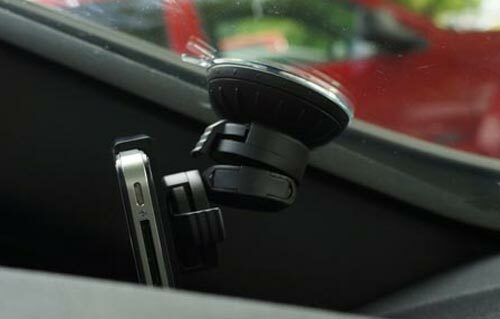 Well, the engineers at Just Mobile have created the Xtand Go, a well designed mounting system for your vehicle to hold your mobile devices while motoring down the road. 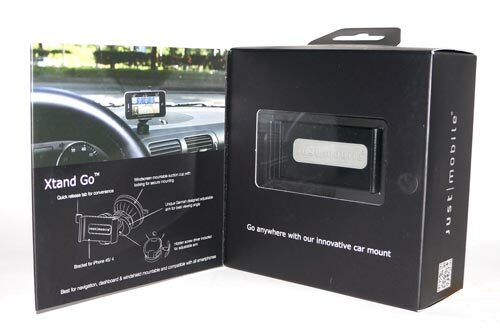 Even though the Xtand Go vehicle mount includes an iPhone 4 specific holder, the system is designed to hold almost any mobile device (nav-unit, iPod, other smartphone, etc). 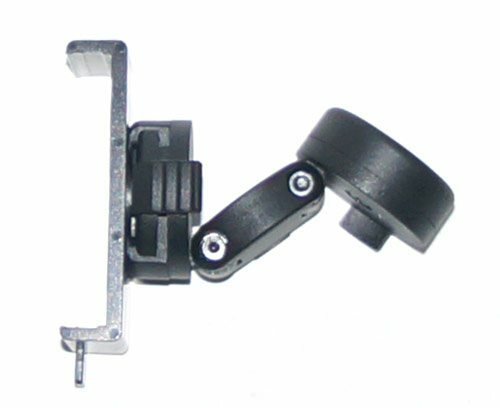 The black plastic Go Buttons can be attached to the back of whichever device you want the mounting bracket to support. The windshield suction cup is extremely well done. To be honest, it is the best designed one I have ever seen. 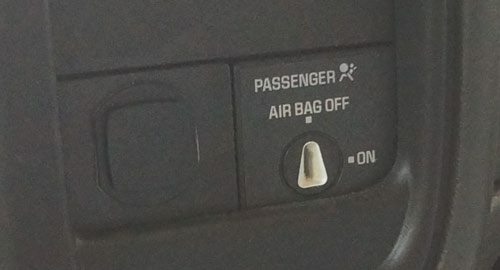 Most others usually fall off over time or if the windshield gets too hot or cold. The Xtand Go applied effortlessly and has remained attached to my windshield ever since. Removing it from your windshield is just as easy to do as it is to install. Simply twist the base ring counterclockwise and peel off using the tab on the sucker’s surface. The Xtand Go allows for 360 degree orientation. The plastic tab on the side of the mounting bracket enables you to easily remove the iPhone 4. The base/mount arm is made of three separate sections/blocks. Each section is attached and pivots from one edge. Each also independently rotates 360 degrees, enabling you to place/install the Xtand pretty much anywhere and position it to suit you and whatever vehicle you are driving. The base is very sturdy with minimal wobble or wiggle while your vehicle in motion. 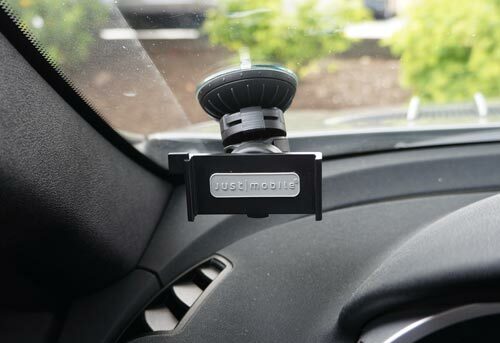 In situations where you want to install your iPhone (and Xtand) to your dash rather than your windshield, Just Mobile has that taken care of as well, including three stand mounts and adhesive pads. These adhesive pads can be applied to most (non-iPhone) devices, your dashboard, roof lining – anywhere they will stick. The stand mounts can also be attached to your iPhone case, making removing your device unnecessary. Fortunately for me, the stand mounts match the dash color of my truck, so much you can hardly tell it is there. The mounting bracket can not only be configured to nearly any angle or orientation, but the three blocks that form the extendable arm can be re-tightened with a simple allen wrench. However, the further you extend the arm, the less stable it becomes. Whether attached to my dash or stuck to my windshield, the Xtand Go is one of the better compact/transportable car iPhone (/device) mounts I have used. Its compact design makes the Xtand Go mounting system easy to take with you on travel. Along with looking very nice, the Xtand Go is stable and does not wiggle/shake much at all. The MSRP is $39.95 but can be found on the Net for a fraction of that. Will it work with the case on the iphone? Good question. Did you get an answer? Another question, can you attach your charging cord while it’s in the holder? How did you post a question? I still haven’t found anything better than this Proclip holder and Griffin AutoPilot for my iPhone. It creates an actual docking station that charges and directs audio to the stereo, working with most cases as well. I originally bought it for the iPhone 3G and it has held up through the 3G, 3Gs and iPhone 4 all with different cases. no, it does not work with a case over an iphone. bought it, tried it, ended up not using it.